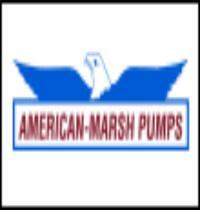 the American-Marsh line of pumps have withstood the test of time. Over the last 130 years, over 100 varieties of pumps have been designed and built. From steam pumps to centrifugal pumps, American-Marsh pumps have been built to meet the ever changing requirements of society. Over the last century, through continuous product development, more American-Marsh models have been retired than most other pump manufacturers have ever produced. Hundreds of thousands of pumps have been built, all designed with long life in mind, allowing many of them to last over 50 years in service. Today, look to us for the complete offering of American-Marsh Pumps, consisting of 13 product lines to serve your every need. Whether your need is a self-priming diaphragm, a stainless steel vertical sump pump, or anything in between, American-Marsh Pumps will provide you with a durable, hi-quality solution.